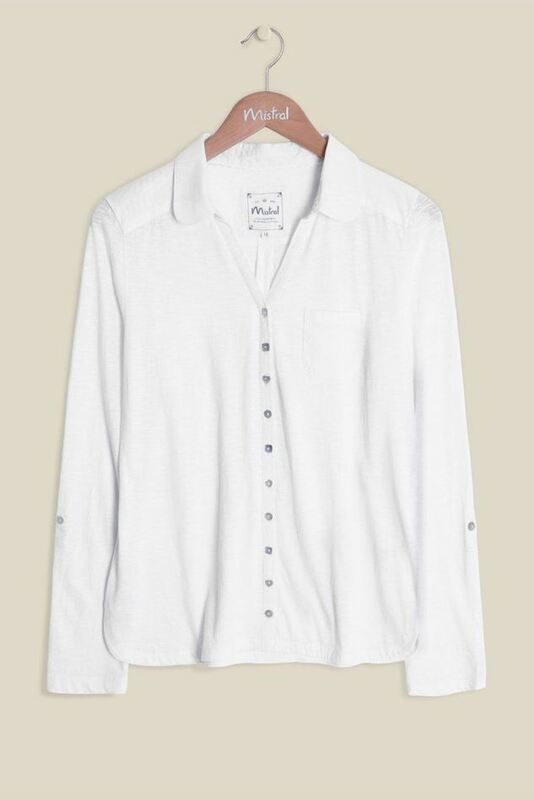 A well-loved favourite of Mistral's - their Show On The Road Shirt. A well-loved favourite of Mistral's - their Show On The Road Shirt. The super-soft jersey shirt is packed with detail, offering a sense of Spring in a clean white colour. The V neckline, rounded collar, long sleeves and curved hem are finished off with translucent buttons running down the middle adding a stylish finish. Perfectly paired with jeans and a cardi.